Naota's life is confined to going to school and living with his father and grandfather. 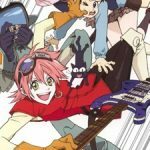 The usually boring life in Mabase is rudely interrupted by the arrival of Haruko Haruhara, who bursts on the scene by running Naota over with her Vespa scooter and hitting him on the head with a blue vintage Rickenbacker 4001 left-handed electric bass guitar. Later, Naota is shocked to find Haruko working in his house as a live-in maid. 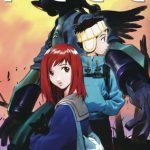 Haruko's search for the alien being, Atomsk, puts her at odds with Medical Meccanica, the monolithic industrial corporation. At the same time, Naota is being watched by Commander Amarao. The Commander believes Haruko is in love with Atomsk and that Medical Meccanica is out to conquer the galaxy. 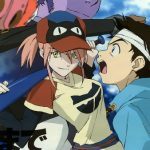 The combination of circumstances get Naota involved in a three-way battle between Haruko, Amarao and Medical Meccanica. 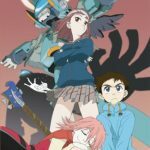 It seems like it should be impossible for something only 6 episodes of FLCL long to be jam packed with so much meaning, characterization, and great animation yet Kazuya Tsurumaki pulls it off so well. 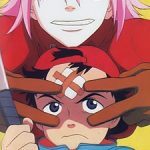 I’ve written about the coming of age story at the heart of the show in the past and I still find new details I hadn’t noticed before every time I rewatch it. And even if you don’t want to analyze and dig for the deeper meaning of the show it can be enjoyed on a purely surface level. 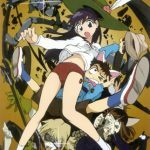 The animation on display from the Gainax/Production IG duo is truly something to behold. 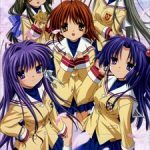 The first half of the story takes place primarily at Hikarizaka Private High School, a fictional school located in Japan. Outside of the school, frequented locations include the bakery run by Nagisa's parents, and the dormitory where Youhei Sunohara lives. Throughout the story, glimpses into an Illusionary World are shown. This world is devoid of all life except for a young girl, though she later makes a body out of junk pieces through which the player can interact with her. The remaining half of the story takes place in the same city, after the conclusion of the first half. While the town's name was never directly mentioned, one can infer that the town's name is Hikarizaka based on the many companies and establishments that share this name. 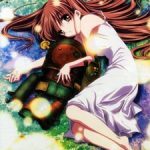 So how does a simple romance show beat out the epic adventure that is Gurren Lagann? 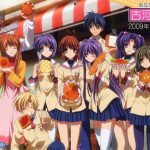 Well for me Clannad does it by being so relatable and consistently focused on its core message: family. 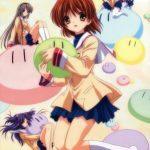 That’s not to say Clannad is perfect because there is an arc or two I don’t really care for. 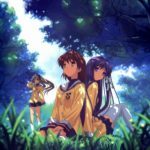 But the core story of Nagisa and Tomoya does develop nicely, eventually leading to After Story where the show really sets itself apart and shows the two in a relationship after high school, moving on into adulthood. There are many lines and moments that struck a chord with my own life and by pushing Tomoya and the audience through a roller coaster of joy and tragedy, it’s able to achieve an emotional catharsis that nothing else can quite compare with. Ryuji Takasu is frustrated at trying to look his best as he enters his second year of high school. Despite his gentle personality, his eyes give him the appearance of an intimidating delinquent. He is happy to be classmates with his best friend Yusaku Kitamura, as well as the girl he has a crush on, Minori Kushieda. 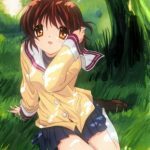 However, he unexpectedly runs into "the school's most dangerous animal of the highest risk level"—Taiga Aisaka—who just happens to be Minori's best friend. Taiga has a negative attitude towards others and has a habit of snapping violently at people. She takes an instant dislike to Ryuji, and it turns out she is living in an apartment facing Ryuji's house. When Ryuji discovers that Taiga has a crush on Yusaku, and Taiga finds out about Ryuji's affections towards Minori, they make an arrangement to help set each other up with their crushes. 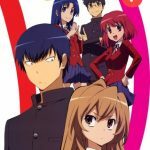 Over the course of the series, Ryuji and Taiga try to set up romantic situations to help each other get to know their friends, but many of the situations backfire. 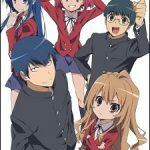 Their classmates observe that they are spending a lot of time with each other, leading to rumors that they might be a couple. 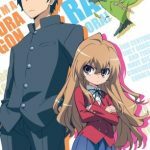 Although Ryuji and Taiga try to dispel the rumors, they find that they do enjoy each other's company, with Taiga visiting Ryuji's house to share meals, and Ryuji checking up on Taiga to get her to school, and cleaning for her. They meet Yusaku's childhood friend Ami Kawashima, a popular teen model who transfers into their school. She appears to be friendly and is a self-proclaimed ditz, but beneath her facade is a rather mean and spoiled brat, and she quickly finds herself at odds with Taiga. 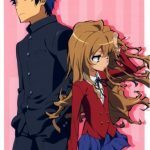 In spite of this, Taiga tries to put up with her antics as Yusaku wants them to all get along, and Ami begins to grow fond of Ryuji. The series follows the lives of the five, as seen primarily through the eyes of Ryuji, with the characters growing and developing through their interactions with one another. 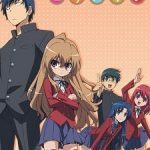 Toradora stands as one of the best anime romcoms because it avoids much of the melodrama of its contemporaries and approaches its characters as actual high schoolers working through their tangled feelings. 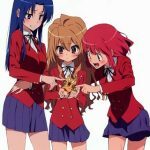 Taiga and Ryuuji spend much of the show as good friends legitimately helping each other through tough times. The romantic side of their relationship is slow to develop but it feels satisfying due to all the time they spend together. Not to mention that the comedy is on point too, particularly with Minori.